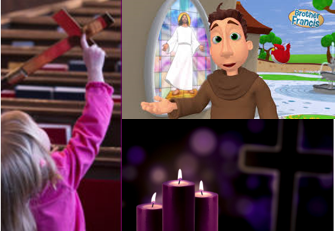 Get your child ready for Lent at the Lent Prep Event! Come complete Lent related crafts and learn about the Stations of the Cross, the 3 Pillars of Lent, and create a “Gospel in an Eggshell”! The event will conclude with a showing of the Brother Francis episode “He is Risen!” and dinner. Cost Dinner: $2.00 /child and $4.00 /adult). Please contact sbmomsgroup@yahoo.com to RSVP.